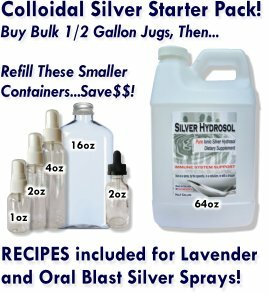 I have clients and myself on colloidal silver daily with great results in almost all ailments and they will not use other products. They swear by your colloidal silver! That is amazing and I really am grateful that you shared this with us! And this product/brand exists because of what it did for me! Stay tuned for more products. Likely by the end of summer, we will be adding Ozonated Oils, ORMUS, Carbon C60, and MMS!